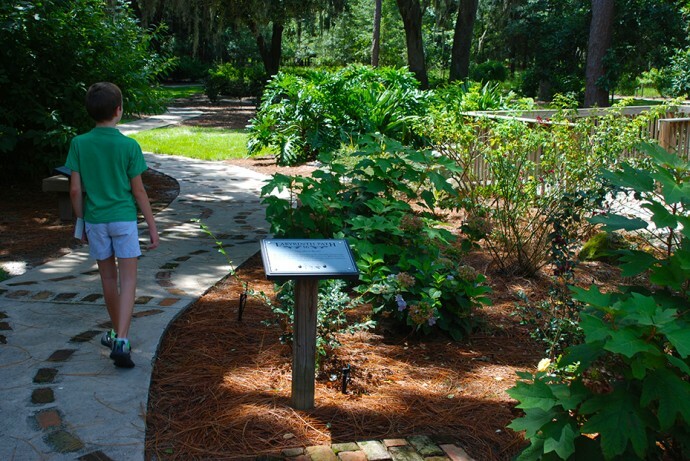 Visiting Sholom Park | Florida Hikes! Sunlight illuminates each strand of a longleaf pine’s wiry crown, dappling the lawns and mulch with patches of shadow and light. There is an earthy smell to the air, cast up by the rumbling fountain before me that masks the sound of road noise beyond. Crows quarrel in the treetops. This is a quiet retreat for many, a garden I left out of my latest book – perhaps accidentally on purpose? Everywhere I look, people are striding along the concrete paths through cultivated gardens and natural habitats. I come here to remember, to honor, and to find peace. Sholom.